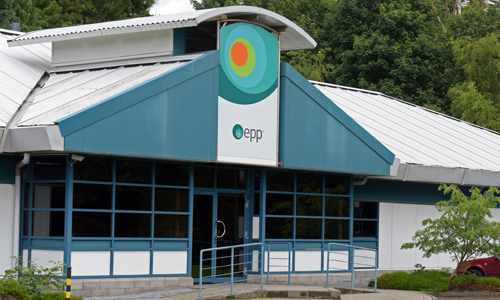 Recent major investment has resulted in impressive facilities at EPP. Based across 2 sites, closely located outside Edinburgh, Scotland, we offer facilities to handle large scale or complex projects. Our instrumentation is comprehensive including NMR, LC-MS, HPLC, IR, GC and GCMS for analysis; for purification purposes we have a Biotage SP4 and prep HPLC; for reactions we have microwave initiators and an H-cube. 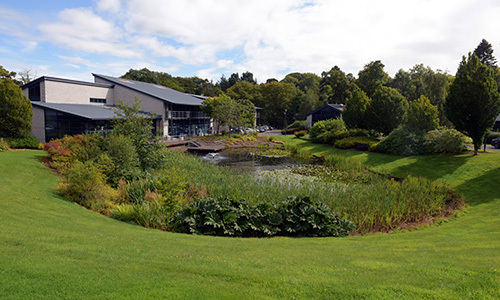 Location at Pentlands Science Park. Our two Research & Development laboratories house 10 standard fume hoods and 2 walk in fume hoods (for large scale production), supported by an analytical laboratory and our own NMR facility. In addition, a separate, fully GLP compliant, analytical laboratory is responsible for undertaking GLP studies for our clients, and for producing GLP reports for use in data packages. 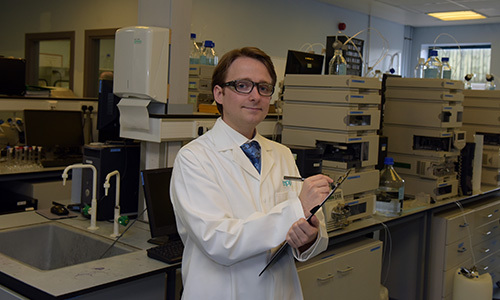 Our recently refurbished Environmental Centre is a fully GLP compliant facility which is managed and operated by an experienced team of environmental scientists. The site contains five large purpose built environmental laboratories, suitable for all types of freshwater aquatic and terrestrial ecotoxicology testing; three preparatory labs, a radiochemistry suite suitable for both formulation work and organic synthesis, and an analytical suite suitable for analysis of both radio-labelled and non-radio-labelled compounds. Bruker Avance II 500MHz NMR spectrometer – capable of multi-nuclei analysis. Instrumentation in the analytical chemistry laboratory. We have our own in-house, GLP compliant, NMR capability supported by a dedicated and highly experienced NMR operator with decades of experience in the field. If you are interested in finding out more about our facilities and equipment or wish to book a visit please contact David Tredgett. We are different and stand out from other CROs... we have our own in-house, GLP compliant, NMR capability.